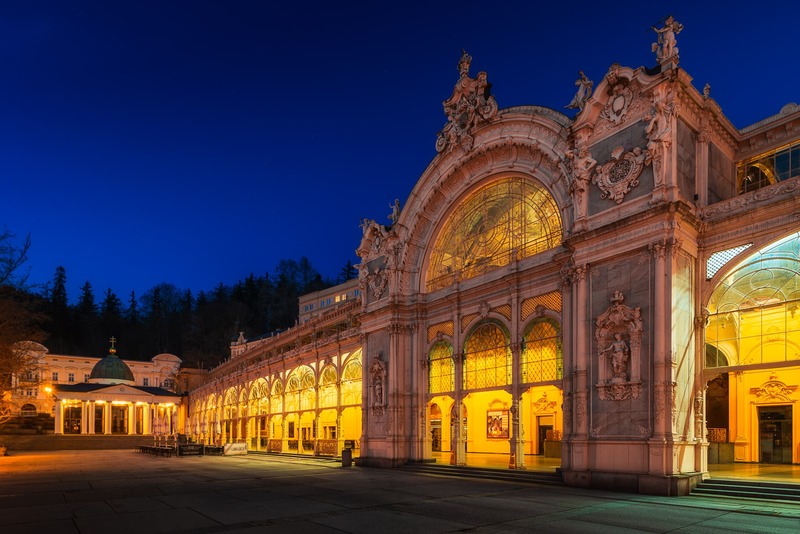 Maxim Gorky Colonnade is the icon for the SPA building in the Region of Karlovy Vary. 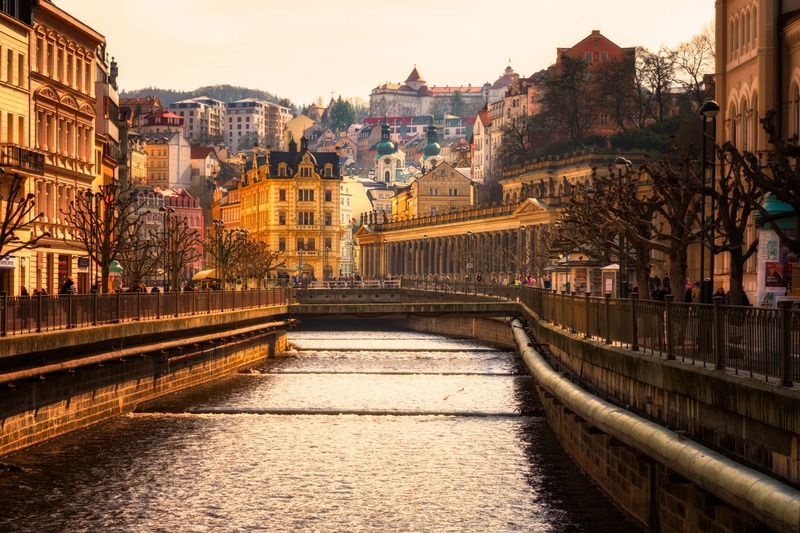 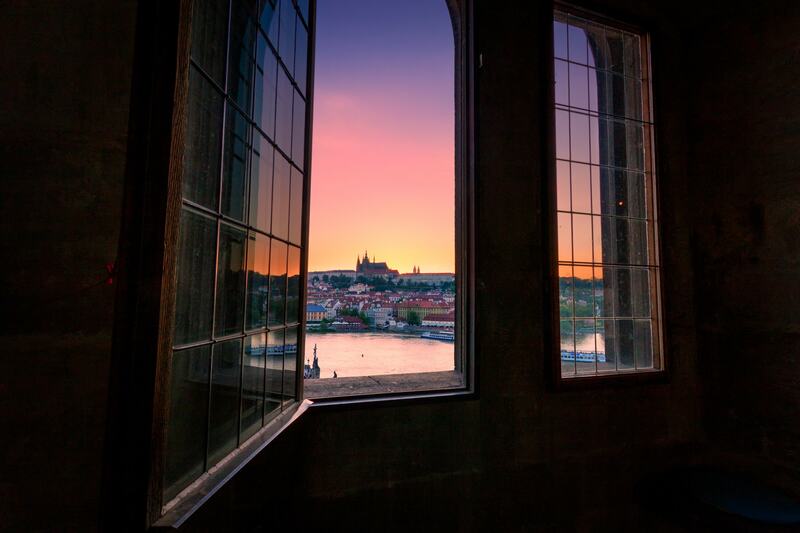 In fact, it’s the largest construction in Czechia! 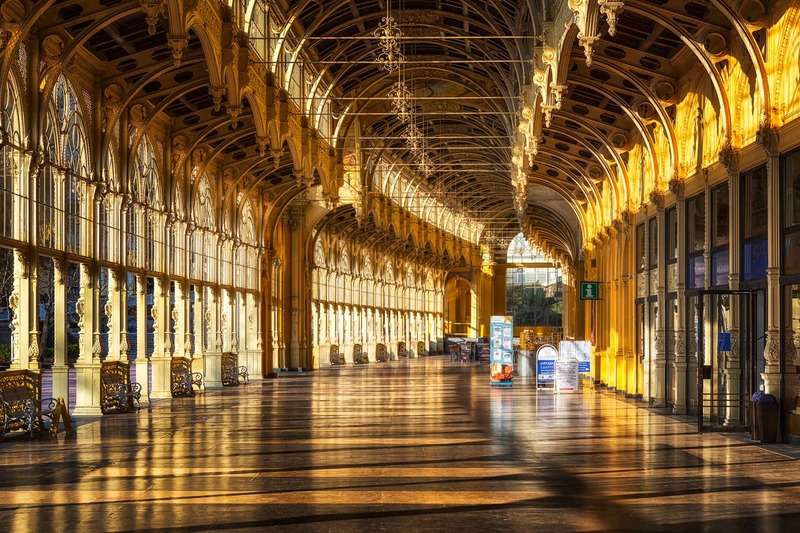 The steel structure was built in the neo-baroque style and was untouched by attacks during the Second World War. 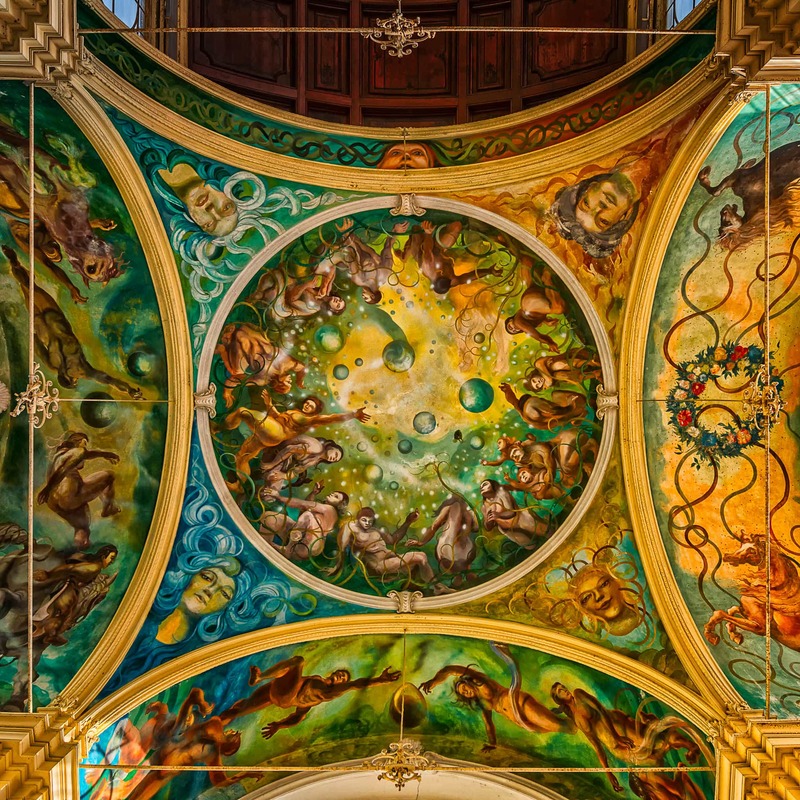 The ceilings of this building present a metaphor of humans’ desire to fly – the frescos of these are depicted in one of my other photographs from Mariánské Lázně. 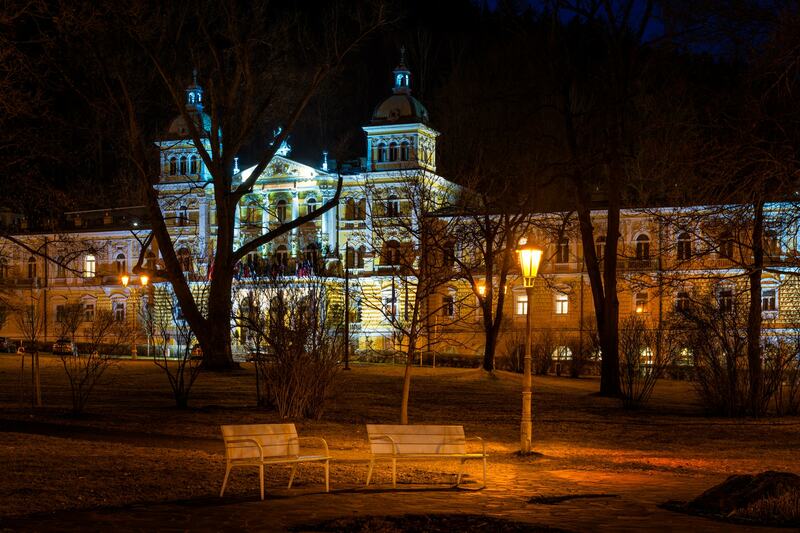 This Colonnade stands in a square between Křížový Pramen (Cross Spring), which are the most famous Springs in the town; predominantly used for drinking and taking baths – Rudolfův Pramen (Rudolph’s Spring). 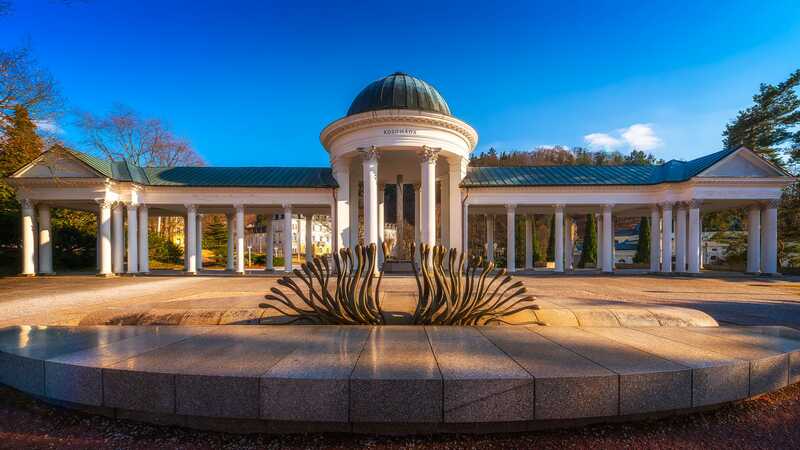 If you visit this SPA town, be sure not to give this icon a miss!